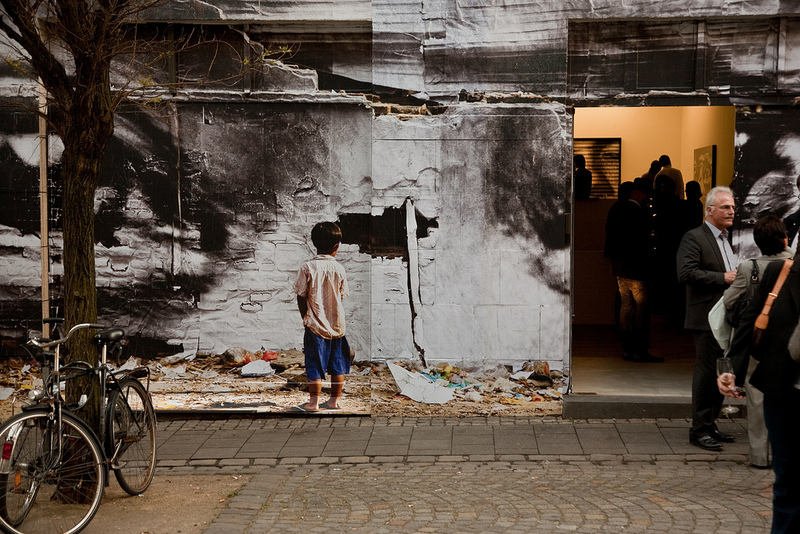 << I wish for you to stand up for what you care about by participating in a global art project, and together we'll turn the world... Inside out." 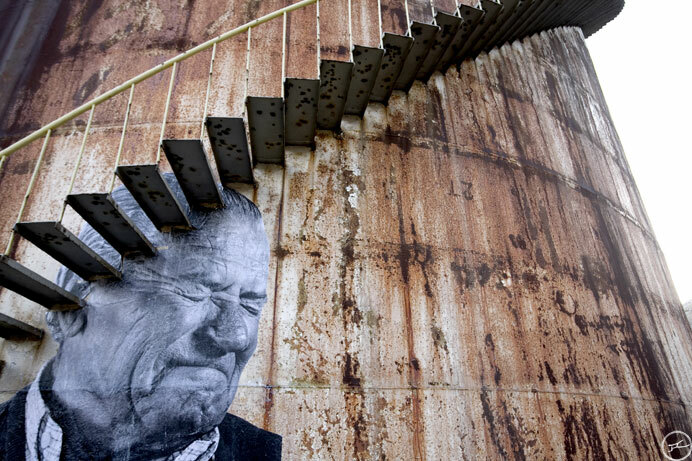 "Sometime it's enough to provide an avenue through which people can express the vibrant individual inside. Art and photography are often infallible forms of communication that provide a medium for the creation of something memorable and at their best, societally useful. 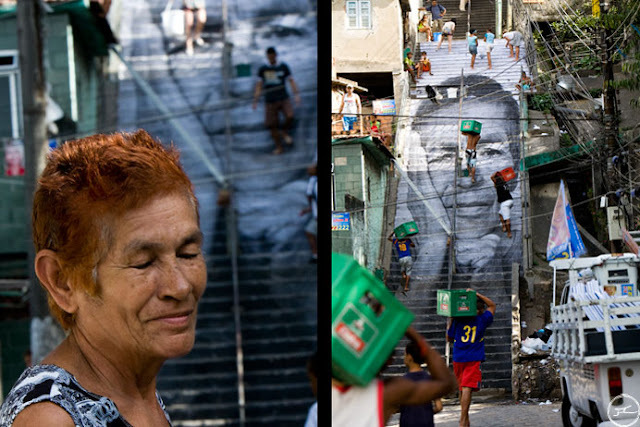 Beginnig with the individual, art can allow their message to be spread throughout the entire world. 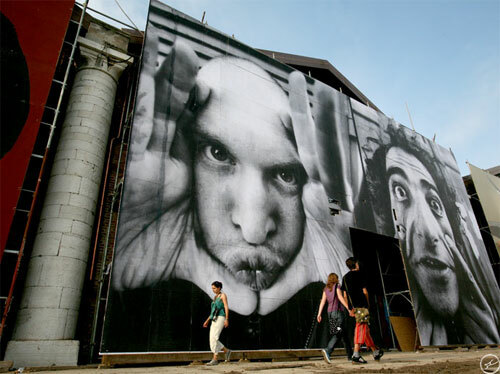 This is the idea behind French artist JR's 'Inside Out', a phenomenon as much as an exhibition. 'Inside Out' provides a platform where the voices of the people find a travelling stage." "Certe volte basta dare un mezzo alle persone, per far tirar loro fuori tutto quanto hanno dentro. L'arte come la fotografia sono una forma infallibile di comunicazione, dando la possibilità di far succedere qualcosa di utile e memorabile che parte dall'interno e puo arrivare a tutto il mondo. Questo è "Inside Out", un fenomeno piu che un' esibizione. Un avvenimento per cui le voci dei popoli trovano un palco itinerante, ideale per farsi sentire senza troppi intralci, cosi come dovrebbe essere". These are first lines of the article 'The world is the best stage' written by Veronica Renato, on quarterly magazine Muse-Culture Club. This is the 32nd number of this innovative and interesting magazine. 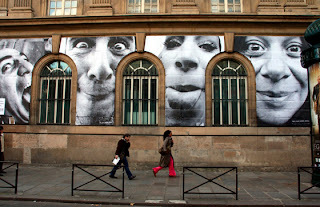 Is a bilingual quarterly with english text, based in Milan, under direction of Fabio Corvi, and based in New York too. 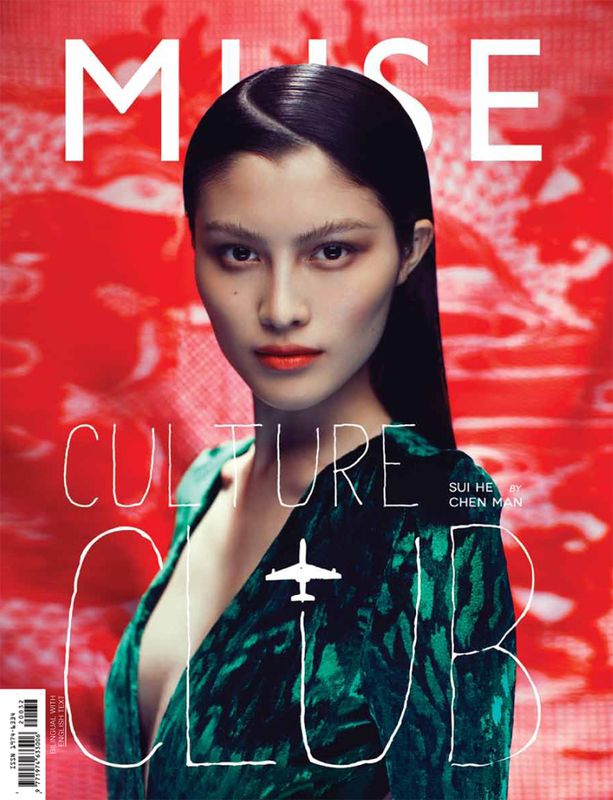 Queste le prime righe dell' articolo 'The world is the best stage' di Veronica Renato, sul trimestrale Muse-Culture Club. Questo giornale innovativo ed interessante è al 32esima uscita. È un trimestrale bilingue con testo in inglese, con sede a Milano, sotto il coordinamento di Fabio Corvi, e sede a New York. 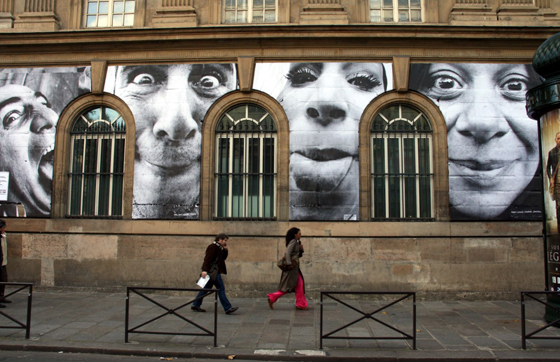 The article that i' m reccomending to, is about the photographer JR, a semi-anonymus French street artist, who shows the true face of the world with big posters of human faces. 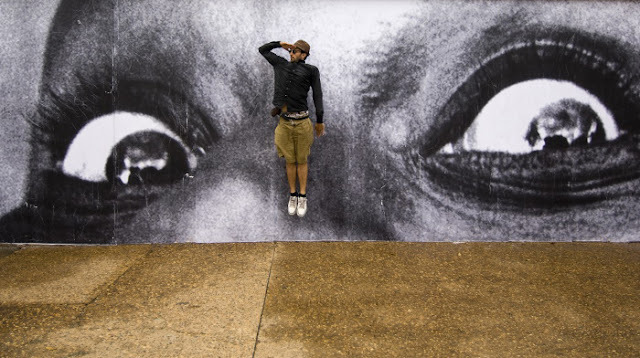 JR has often been the subject of intense debate, and he has gained global recognition By the support of prestigiuous institutions such as the Venice Biennale(2007), and by the UNESCO with the Ted Prize (2011). 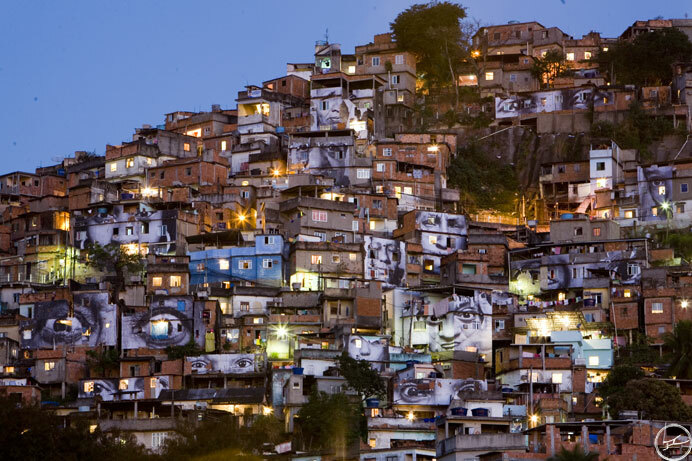 To get more info about this artist, further reading this interesting article, you can visit his website http://www.jr-art.net/. I will let you discover this artist, and this special magazine. Lascio a voi la scoperta di questo artista, e del giornale che lo ospita con questo articolo.